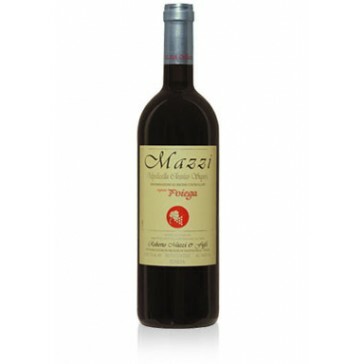 Only grapes produced in the company's Poiega vineyard are used in this red wine. 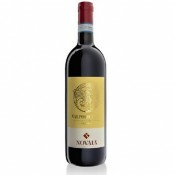 The vineyard is situated in the area of Negar in the heart of Valpolicella. The harvest begins in the second week of September and the grapes are gathered in wooden trays and crushed after 40 days. Fermentation takes place in steel tubs under a controlled temperature of 25 degrees centigrade for about fourteen days. The wine is then matured for two years, half in oak casks and half in "tonneau". After it has been blended, the wine is laid in bottles for three months before being put on the market. 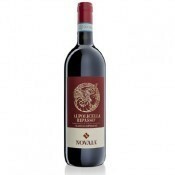 It is a strong ruby colour and has a complex aroma with a note of dried fruit, wood. It tastes warm, velvety and notably well-balanced. 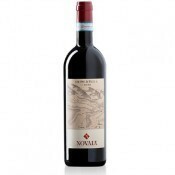 This wine is an excellent accompaniment for game, roast red meat and mature, spicy cheeses. It is recommended to open the bottle a few hours before serving. The wine should be served at 18 degrees centigrade. The best glasses to use are clear, transparent crystal goblets. 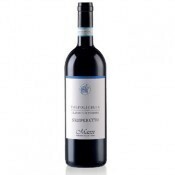 If kept well, this wine has an average conservation period of ten to twelve years. The bottles should be laid horizontally in a cool, dark, humid wine-cellar.